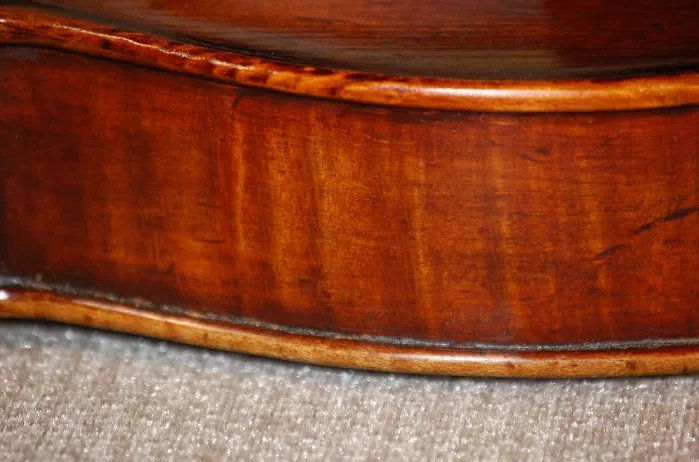 McLaughlin Violins specializes in exacting procedures, many of which can usually be done in a day or two after an initial, complimentary evaluation. 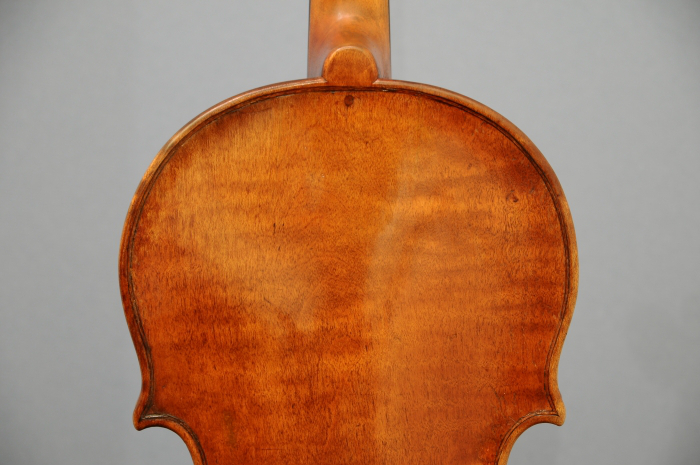 Small, insignificant looking cracks can be big problems, and only an in-hand examination can determine the difference. Some jobs are more complex and require longer repair times, often a week or longer, as the situation warrants. 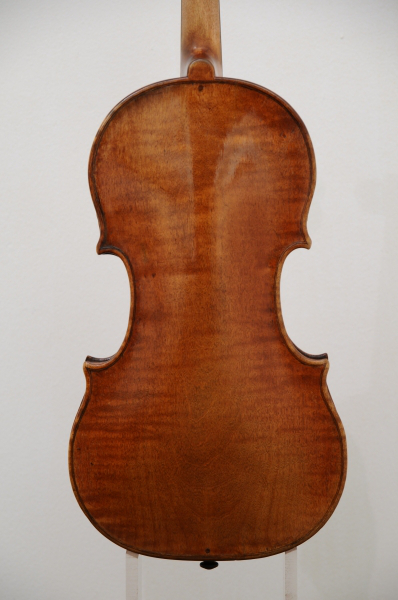 Instruments must be seen in person for accurate estimates to be given. Contact us to schedule a check up today! ...a badly compromised button and a couple of very badly worn edges. There were also several places where badly matched purfling had been put in by a previous repairman. Close-up of the back cracks and the badly compromised button. Close-up of cracks in the lower bout. Preparing the upper bout for the new edge and button patch. Clamping and gluing the large crack in the lower bout. The new edge and button are clamped into place after gluing. There is a cast supporting the other side. Shaped edge and button. Varnish time! This job also included a neck graft. Finished cracks and new button, edge and purfling. 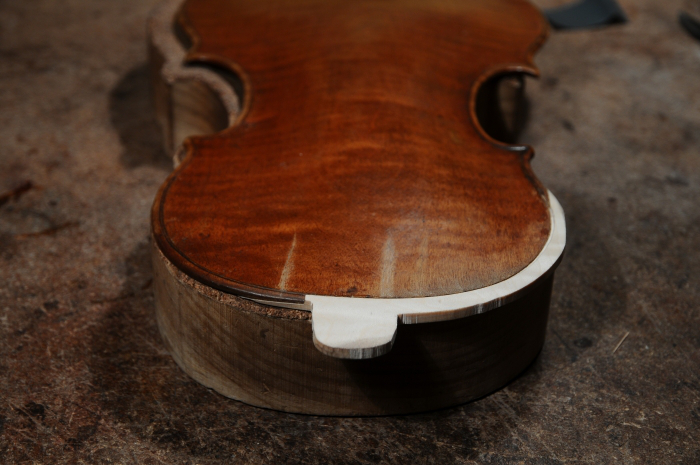 Finished cracks, new edge and purfling. Finished button, cracks and edge. New edge on the back. 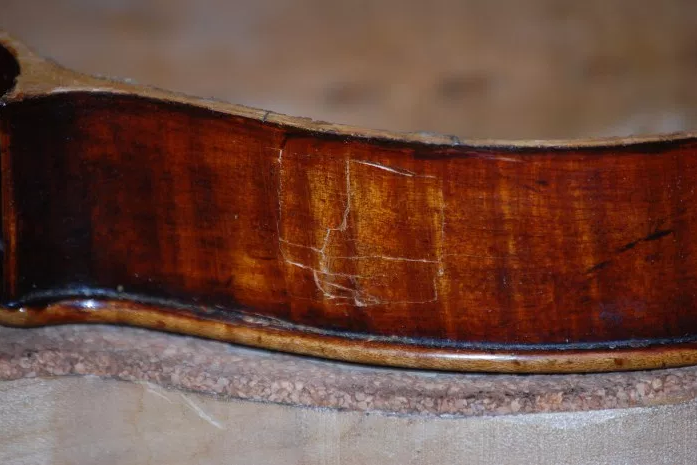 This rib was very thin, cracked, and had an old, badly-fit repair that was coming apart. 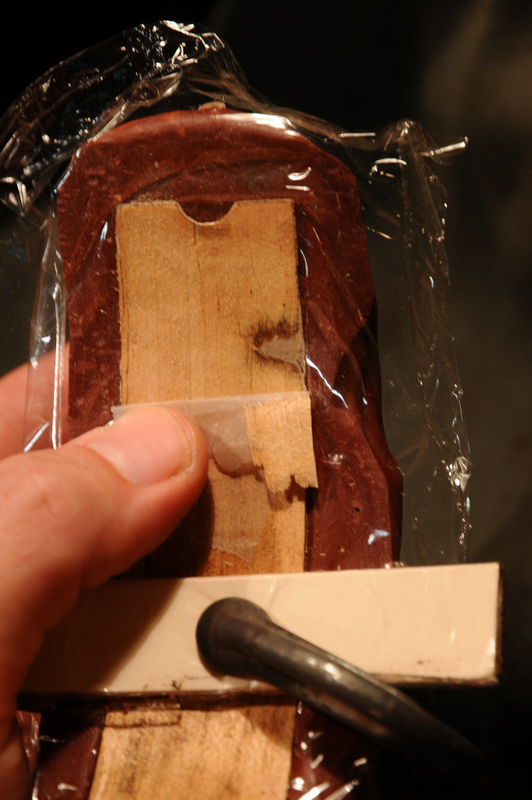 First, I had to carefully remove the rib from the lower block. I also removed the badly fit piece of wood. Next, I prepared the area where the through-patch would go. Here is the through-patch be fore gluing. The tape helps me line everything up once the glue is applied. After gluing, and before the rib-doubling is in place. This is from inside once I removed the top. Most of the material was still there, it just needed to be put back into place. After gluing, before touch up.